It is more important than ever that teacher candidates have a clear understanding of why scientists do what they do and what science is all about. 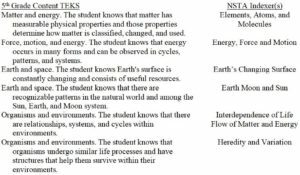 Science methods courses are opportunities to help students develop tools and skills to engage with and deepen their understanding of the nature of science (NOS), a necessary skill set for teaching at the elementary and secondary grade levels. Dynamic activities, such as Cobern & Loving’s (1998) Card Exchange encourage teacher candidates’ inquiry, and critical thinking about NOS and the incorporation of cross-curricular literacy strategies promotes cooperative, collaborative interactions between students. 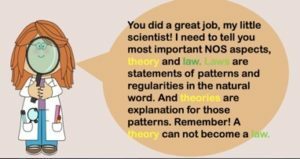 The consensus among science organizations is that developing an understanding of NOS should be one of the primary objectives of science teaching and learning. Organizations such as the American Association for the Advancement of Science (AAAS) (1993), National Research Council (NRC) (2013), National Science Foundation (NSF) (1996) and National Science Teachers Association (NSTA) (2012) recognize that understanding NOS is as essential to student success in science as scientific knowledge and skills. The National Council for the Accreditation of Teacher Education (NCATE) (2008) has also called for the restructuring of teacher preparation programs to ensure science teachers are confident in both their science content knowledge and ability to engage students in the NOS. Cobern and Loving’s (1998) Card Exchange “works well,” explains Cobern (1991), “because it begins with students getting up, moving around, and talking to each other, things almost all students like to do” (p. 45). The card exchange is an engaging and non-threatening method of introducing NOS to teacher candidates. It allows for students to reflect upon their conceptions of NOS that lead to both small group and class-wide discussion on NOS. Teacher candidates have commented that the card exchange was not only fun but also gave them a better understanding of how and why we do science. 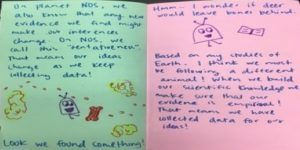 Students comments on the card exchange noted the activity broadened their perception of science, enhanced their ideas about science, and increased their appreciation the role of philosophy in science. They have also reported increased confidence and science teacher self-efficacy. However, despite enjoying the overall experience and providing positive reviews about the card exchange, some teacher candidates have had difficulty with the vocabulary and card statements used during the exchange. 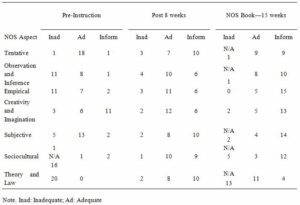 This article explores how integrating simple, constructivist cross-curricular vocabulary and literacy instructional strategies teacher candidates needed tools and skills to engage with Cobern and Loving’s (1998) Card Exchange. It also describes the integration of simple, yet powerful, vocabulary and literacy instructional strategies. The incorporation of dynamic literacy strategies encouraged students’ inquiry, critical thinking, and problem-solving skills and has transformed the card exchange into a broader and more impactful activity for teacher candidates. The game is run as described by Cobern and Loving (1998) with some minor changes. While Cobern and Loving (1998) describe running the card exchange in classes of 30 to 40 students, I run it in classes of 15 to 25 students with each student receiving six cards. I have also taken to numbering the cards and card statement categories consecutively. Cobern and Loving’s (1998) process takes students from an internal dialogue on the card statements towards building group consensus (first in groups of two and then in groups of four) and finally a whole class discussion. The overall structure of the exchange allows students to debate the merits of some statements over others and share their thoughts on statements with others in the class. 1) Six to eight cards are distributed randomly to students. They have 5 minutes to read their cards and think about what the statements mean and rank their cards from their most to least favorite statement. 2) Stage I (10 minutes): Students trade cards (one-for-one) with each other to try to improve their hands. Their goal is to gain more cards with which they agree while discarding cards they do not like. 3) Stage II (10 minutes): Students pair up and compromise to reach eight cards on which both can agree. During this process, students must contribute at least three of their cards. Students return extra cards to the instructor. 4) Stage III (15 minutes): Students form groups of four, (two pairs) and compromise to reach a total of eight cards on which all four students can agree. During this process, each pair must contribute at least three of their cards. Students return extra cards to the instructor. Students then rank the cards in order of importance and write a paragraph statement answering the question “What is Science?” based on their cards. At the conclusion of the game, groups share their statements aloud and other groups comment. What follows is a discussion as to why a group chose some cards and rejected others and cross-group discussion. Students debate the merits of some statements over others and share their thoughts on statements with which they agreed but were not chosen by the group and vice versa. Additionally, Clough (2011) suggests questions relating NOS and science education such as “how does the work of [insert scientist(s)] illustrate that data does not tell scientists what to think, but instead that creativity is part of making sense of data?” (p. 58) that can be used to create classroom discussion and debate. Card categories and statements of their meanings are revealed at the conclusion of the activity as part of an overall group discussion on NOS. This revelation has led to exciting student insights into biases that exist concerning NOS and individual versus group preferences for statements during the card exchange activity. Finally, I allow time to address questions and comments students might have about the game or NOS in general. During the card exchange, teacher candidates often experienced difficulties with the vocabulary and the wording of card statements. The students’ inability to unpack the meaning of the cards in the time allotted prevented the game from flowing the way it was supposed. One of the factors that make the card exchange work is the pace. Momentum builds throughout the game as students move from working individually to pairs to groups of four and finally to the broad class discussion. This pacing gets lost when the game is put on hold to address vocabulary and phrasing of the statements. These types of discussions are still teachable moments and can improve student literacy and can eventually lead to a better understanding of NOS. However, valuable class time was spent defining terms and unpacking the meanings of card statements instead of thinking about and discussing the statements to advance their understanding of NOS. What should be an exciting experience becomes frustrating to students and teachers and a tool that can help gain a better understanding of NOS is ignored and discarded. 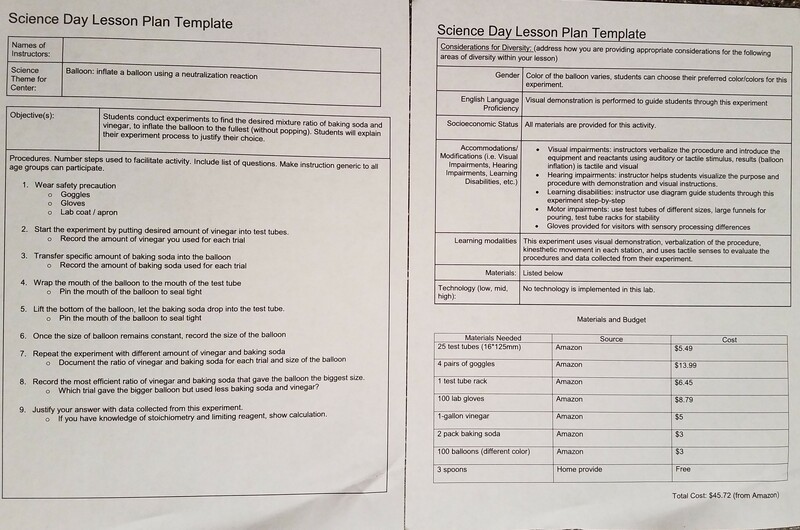 The adoption of Next Generation Science Standards (NGSS) is changing the way teachers and students approach and engage in science content through crosscutting concepts that connect core ideas in different disciplines. It is also, to a certain extent, changing the language that teachers are using. Science already relies heavily on the use of specific vocabulary. Ardasheva and Tretter (2017) note “a pressing need for all students to master the academic language and vocabulary” (p. 252). This includes science-specific technical terminology (e.g., ‘photosynthesis’), non-technical vocabulary (e.g., ‘component’), procedural/signal vocabulary and general academic vocabulary (e.g., ‘the result of’) (Ardasheva & Tretter, 2017; Harmon, Hedrick, & Wood, 2005; Taboada, 2012). Researchers such as Miller, Scott, and McTigue (2016), Shanahan and Shanahan (2012), and Vacca, Vacca, and Mraz (2016) believe literacy activities and strategies aid to encourage students’ interest, inquiry, critical thinking, and problem-solving in disciplines such as science. Reading and language ability has been shown to be factors that impact student achievement in science (Reed, Petscher, & Truckenmiller, 2016; Taboada, 2012). Like my students, Collier, Burston, and Rhodes (2016) have noted that science-specific vocabulary is akin to learning a second, or for some students a third, language. Integration, repetition, meaningful use (Nagy, 1988; Nagy & Townsend, 2012) and scaffolding (Jung & Brown, 2016; Van Laere, Aesaert, & van Braak, 2014) can be applied to the Card Exchange to support student achievement in both literacy and NOS. Research by Harmon et al. (2005) describes independent reading, providing context, student self-selection of terms, and teaching targeted vocabulary words as strategies that support students struggling with the science-specific academic language. The literacy strategies implemented in the NOS statement review for the Card Exchange promote cooperative, collaborative interactions among students. The idea is to generate a more authentic form of hands-on and student-centered instruction, along with the possibility for a more meaningful, genuine, and personal kind of learning. Additionally, integrating literacy strategies with science concepts demonstrates how to integrate seemingly content-specific learning strategies across the curriculum (Moje, 2008). Both the expansion from a one to three-week activity and introduction of the statements prior the card exchange game uses the principle of repetition – providing multiple exposures to targeted terms. “While this practice may seem obvious, it is an essential one, especially for those readers who need more time and repetition to learn key vocabulary than other students” (Harmon et al., 2005, p. 276). Rather than pre-teaching the statements, this solution offers students the opportunity to highlight, draw attention to, and then discuss difficult terms. The structure of NOS statement review also utilizes the principle of meaningful use. Students engage in individual reflective thought followed by small group and class-wide discussion of card statements. The students’ active involvement in this process, particularly their thinking about and discussing word meanings and using the new words meaningfully, leads to more learning and deeper processing of the underlying concepts of the card statements (Ardasheva & Tretter, 2017; Nagy, 1988). Talking about ideas and concepts in a text can improve vocabulary, academic language development, helps students make sense of their thinking, and can foster academic language development. The long-term goal is for students to learn science-specific technical vocabulary and integrate new words into their vocabulary. However, before the integration of unfamiliar words and phrases, it is necessary to scaffold science-specific academic language by presenting targeted terms in a way that is more familiar and contextual to students (Ardasheva, Norton-Meier, & Hand, 2015; Jung & Brown, 2016; Shanahan & Shanahan, 2012; Vacca et al., 2016). The NOS statement review gives students time to examine the statements individually, think about their meanings, self-identify words and phrases they find confusing, and discuss the statements in small groups and later as a class. Early introduction of the statements makes use of ‘powerful’ vocabulary instruction principles such repetition and meaningful (Nagy, 1988). Additionally, the transformation of the Card Exchange from a once-and-done activity to a multi-class exercise encourages both independent reading and learning by allowing students to self-select words and phrases (Harmon et al., 2005). The overall goal of the NOS statement review is threefold: 1) to help students unpack the card statements and gain a better understanding of their meanings, 2) the come to class-wide understandings on the meanings of the different statements, which could include rephrasing, and 3) to prepare students to participate in the Card Exchange activity. The review is run in four phases over two class periods and mirrors the structure of the Card Exchange, which is run during the next class following the review. 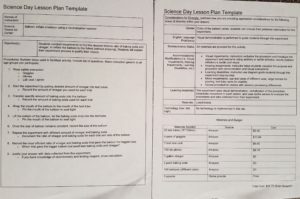 During phase 1, students receive a graphic organizer (see Figure 1) with card statements from each of the card topic categories as a homework assignment at least two weeks ahead of the card exchange activity. The graphic organizer has the prompts “What do you think this statement means?” and “What word(s) or phrase(s) do you find confusing?” Assigning it as homework allows students to read and reflect on their particular statements at their own pace. As students read through the cards, they are encouraged to answer the prompts and to circle or underline parts of the card statements (see Figure 2). Figure 1 (Click on image to enlarge). Graphic organizer for students with assortment of card statements and reflective prompts. Figure 2 (Click on image to enlarge). Student work sample. Phases two through four occur during the following class. During phase two, students use their completed graphic organizers and are given ten to fifteen minutes to have several small group discussions. First, they are grouped (two to three students) based on the number in the upper right-hand corner of their worksheets. This ensures that students with the same card statements have the opportunity to share their thoughts and comments with classmates that read and reflected on the same statements. Phase three involves students moving around and meeting with classmates who were assigned different card statements. Students have ten to fifteen minutes and can meet one-on-one or in small groups of no more than four students. The groups must consist of students with different card statements, and each member of the group must have the opportunity to share. As the instructor, both phases two and three are opportunities to circulate work with students individually or within the small groups. It is a time to listen to student conversations, ask guiding questions, address individual concerns and questions. During the fourth phase of the NOS statement review, all of the students come together to engage in a class review and discussion. Students receive a second worksheet (see Appendix) with all of the card statements and students are invited to share their respective statements with the entire class. Cross-group discussion is encouraged with the instructor as moderator. 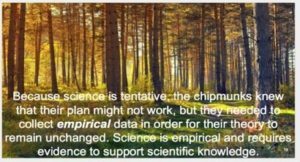 At the conclusion of the NOS statement review, we try to come to some understandings about specific terms used in the card statements and what they mean in and out of science. Sometimes the discussion involves the rewording of a statement. For example, in one class statement 12 (see Appendix) was reworded to read “Science is never opinionated; it is practical and open-minded – always subject to adjustment in the light of solid, new observations.” In another class, statement 32 (see Appendix) was reworded to say “When scientists work together they can be influenced by each other. Therefore, it can be hard to identify alternative ways of thinking.” Finally, students are then encouraged, but not mandated, to look over all the statements before the card exchange activity during the next class (week 3). Introducing and discussing NOS is still tricky and finding active methods to engage students in NOS discussion can be a challenge. Herman, Clough, and Olson (2013) lament that “much is understood about effective NOS teaching and learning, but while the phrase nature of science is widely recognized by science teachers, accurate and effective NOS instruction is still not widespread” (p. 2). Since language ability is quickly being recognized by both NRC’s Framework for K-12 Science Education (2012) and NGSS (2013) as a critical component of student success in science, technology, engineering, and mathematics (STEM) the integration of literacy strategies can help address both NOS and literacy skills for students of all ages. 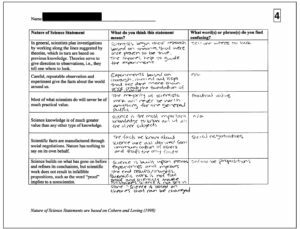 Integrating simple, yet effective, literacy strategies in the form of a NOS statement review before Cobern and Loving’s (1998) Card Exchange transforms the activity into one that emphasizes both NOS and literacy skills. Early Introduction: A Double-Edged Sword? The introduction and repetition of the card statements benefit students by providing them with time to reflect upon and discuss the meanings of the NOS statements. However, there was a fear that a review could take away from the trading aspect of the game. By reading, reflecting, and discussing the statements, students could have already made up their minds about the statements before the actual activity. Since implementing the NOS statement review, I have asked students to provide feedback on whether the review enhanced or took away from the Card Exchange. Students (n = 64) were asked to fill out a short online survey at the conclusion of the card exchange that asked them to rate two statements about the NOS statement review and card exchange on a four-point Likert-like scale (1 = strongly disagree:4 = strongly agree). The voluntary survey has an average response rate of 87.7%. In response to the statement “Reading, reviewing, and discussing the card statements ahead of the card exchange enhanced the card exchange game” 81.8% responded that they “strongly agree.” Conversely, 78.2% “strongly disagreed” that reading, reviewing, and discussing the card statements “took away” from the card exchange game. One of the more difficult aspects of the NOS statement review, mainly during phases three and four, was keeping students focused. During both small group and class-wide discussion, students kept veering away from focusing on the meanings of the statements instead wanting to debate the merits of the statements. While appreciating their enthusiasm, they were reminded throughout these phases that they would have the opportunity to debate the merits of the statements and whether they agreed or disagreed with them, during the Card Exchange. The importance of understanding NOS is important to the science and science education community. However, there is still a need to find interesting and exciting methods of engaging teacher candidates as well as elementary and secondary students in discussions about NOS. 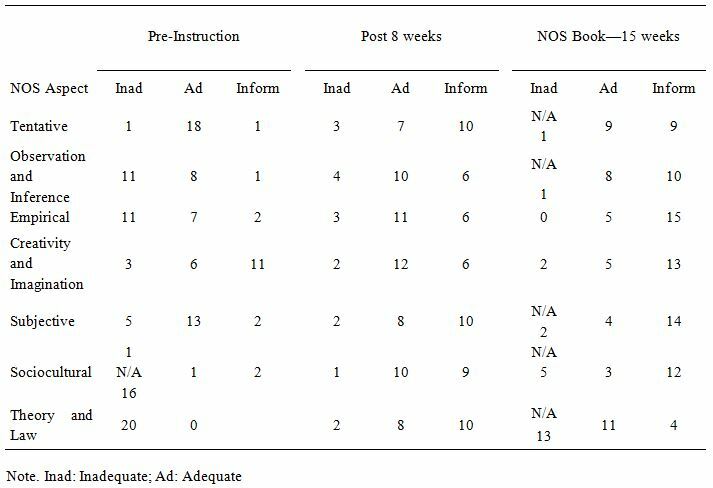 Cobern (1991) concluded his original article stressing the card exchange activity’s effectiveness at hooking his students into discussing and considering NOS – a subject, according to him, they had previously avoided. Speaking about science teacher candidates, he noted that the card exchange “capitalizes on the innate gregariousness of students and the diversity of opinion among students” (p. 46) and stressed the need for “creative instructional strategies” for NOS instruction to be effective. Despite the issues cited earlier with vocabulary and phrasing, the Card Exchange is still a creative and effective introductory NOS activity for both elementary and secondary teacher candidates. Integrating cross-curricular literacy strategies, such as a NOS statement review, enhances the Card Exchange without taking away from the initial focus of the Card Exchange activity. Instead, it creates a deeper more meaningful learning experience for students. The Next Generation Science Standards present a bold vision for equitable and excellent science opportunities through a call for “All Standards, All Students” (Next Generation Science Standards [NGSS] Lead States, 2013, Appendix D). Following in the footsteps of the earlier “Science for All” efforts, the NGSS articulate a range of supports for marginalized groups in science, including students with disabilities. For those of us who have worked on issues of science equity and accessibility throughout our careers, it seems implausible that profound educational disparities and attitudinal barriers persist in the 21st Century. Yet despite decades of work on inclusive science research and practice, persons with disabilities continue to be underrepresented in science careers while students with disabilities underperform on science assessments (National Assessment of Educational Progress [NAEP], National Center for Education Statistics [NCES], 2011; National Science Foundation [NSF], 2013). Paramount among the factors contributing to this disparity is that science teachers are underprepared to teach students with disabilities in their classrooms, while special education teachers are similarly ill-prepared to teach science ( Irving, Nti, & Johnson, 2007; Kahn & Lewis, 2014). An obvious solution is to have science and special educators co-teach in the classroom, yet research suggests that without preparation and experience in such models, teachers face tremendous obstacles including lack of co-planning time, challenges with establishing roles and responsibilities, and simply lack of familiarity with discipline-specific accommodations (Moin, Magiera, & Zigmond, 2009). This situation creates a pedagogical and, as we believe, a moral dilemma of placing teachers in classrooms without ample preparation, a set-up for attitudinal and practical barriers. We were therefore interested in developing flexible opportunities for science teacher candidates to interact and co-teach with special education candidates in an effort to provide meaningful experiences for all of our students, contribute to the research base in inclusive science teacher education, and support our greater community. To that end, we developed an Inclusive Science Day during which members of our Ohio University National Science Teachers Association (OU-NSTA) student chapter co-planned and co-taught inclusive science lessons with student members of our Student Council for Exceptional Children (SCEC) at the Ohio Valley Museum of Discovery (OVMoD), a local hands-on discovery museum. In doing so, our candidates learned about inclusive science practices, experienced co-planning, budgeting, and delivering science activities for a diverse audience, gained appreciation for the benefits of informal science community partnerships, and learned about themselves as future teachers of all students. This manuscript describes the motivation for, methods, and findings from our project, as well as recommendations for other programs wishing to implement a similar model. The Individuals with Disabilities Education Act, later reauthorized as the IDEIA (2004), guarantees a free appropriate public education in the least restrictive environment. For the more than 6 million students in American schools identified as having disabilities, this means that they are guaranteed opportunities for learning commensurate with their abilities across subjects, including science. While most science teachers at all levels will teach students with disabilities in their classrooms, most receive little formal education in inclusive science practices. In their nationwide survey of 1088 science teachers, Kahn and Lewis (2014) found that, while 99% of the participants had taught students with disabilities during their careers, nearly one-third had not received any training on the subject and of those who had “on the job training” was cited as the most prominent context for learning. Similarly, special education teachers receive little training in science education (Patton, Palloway, & Cronin, 1990), leaving them to frequently be marginalized in inclusive science settings, with science teachers taking the lead. It is perhaps, therefore, not surprising that students with disabilities underperform on standardized science assessments and are underrepresented in science fields. Without the benefit of teachers who have been adequately prepared to develop accessible lessons using inclusive pedagogical approaches, students with disabilities will continue to be underserved in the sciences. Although science and special education are often characterized as representing different philosophical stances (McGinnis & Kahn, 2014), contemporary frameworks like Universal Design for Learning (UDL; Meyer, Rose, & Gordon, 2015) can mediate these differences by capitalizing on the abilities and acknowledging the challenges of all students, thereby creating a cohesive approach to ensuring access for the greatest number of learners. We hypothesized that allowing candidates to co-plan and co-teach UDL activities would provide them with the unique opportunity to discover each other’s strengths, assess their own weaknesses, and become exposed to different perspectives. As in most teacher education programs, however, these opportunities were scant for our candidates due to the structural requirements of their different programs of study and teaching placements. It seemed that a less formal opportunity was needed to explore possible benefits and challenges of collaborative inclusive programming. We decided to turn to the OVMoD for assistance. 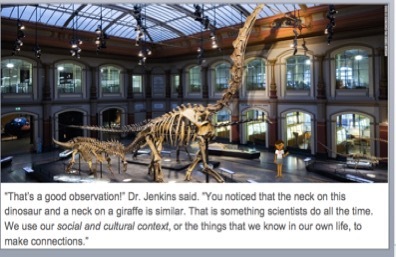 Informal science learning spaces, such as museums, zoos, aquaria, botanical gardens, provide unique opportunities for contextualized science learning for their visitors (Bell, Lewenstein, Shouse, & Feder, 2009). By providing materials and exhibits that are not otherwise readily accessible, allowing for open, unstructured discovery, and welcoming learners of all ages and backgrounds, these spaces offer incomparable resources to their surrounding communities (Fenichel & Schweingruber, 2010). Informal science learning spaces also provide powerful contexts for learning, not only for visitors but also for teacher candidates (Duran, Ballone-Duran, Haney, & Beltyukova, 2009). By providing candidates with teaching opportunities in such spaces, candidates learn to “think on their feet” as they are met by learners about whom they have no prior information, and must therefore anticipate challenges and respond quickly. They are also exposed to visitors representing a variety of ages, backgrounds, and abilities, thus necessitating a true “science for all” attitude and approach (McGinnis, Hestness, Riedinger, Katz, Marbach-Ad, & Dai A., 2012). 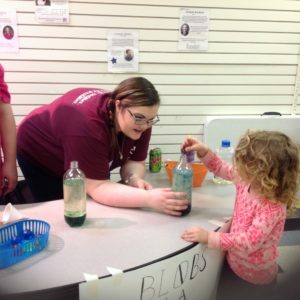 Finally, bringing teacher candidates to informal science learning spaces allows them to learn about and serve their community, and of course, allows the community to become better acquainted with the programs and services available through the university, thereby promoting symbiotic learning opportunities (Bevan et al., 2010). The Patton College of Education at Ohio University serves approximately 1600 undergraduate and 900 graduate students and uses a clinical model for teacher preparation, thus ensuring extensive in-school opportunities for students beginning in their sophomore year and benefitting from close relationships with partner schools (National Council for Accreditation of Teacher Education, 2010). Within our Department of Teacher Education, undergraduate and masters students can select from a wide swath of science teaching majors leading to certification in middle and secondary science areas. In addition, we have a thriving early childhood program that includes courses in both preschool and elementary science methods. Likewise, our nationally-recognized special education program leads to multiple graduate and undergraduate licensures. Undergraduate licensures include programming for intervention specialists seeking degrees to work with students with mild-to-moderate or moderate-to-intensive educational needs. As vigorous and comprehensive as our programs are, teacher candidates from science education and special education interact infrequently during school hours due to their divergent course and placement requirements. Fortunately, our college supports (both philosophically and financially) our professional organization student chapters which afford opportunities for flexible collaboration. 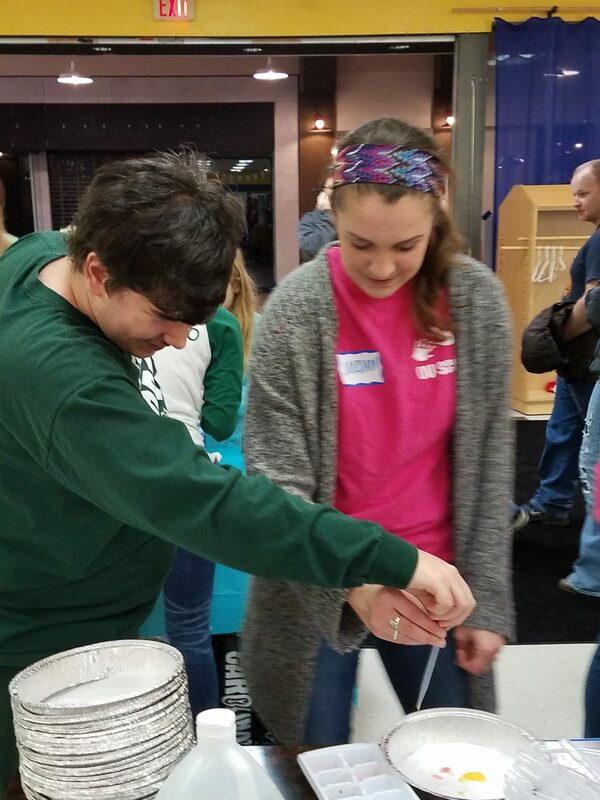 Our Ohio University National Science Teachers Association (OU-NSTA) student chapter welcomes all students with an interest in science teaching and learning. This chapter experienced a renaissance recently with regular meetings, numerous fundraising activities, learning opportunities including attendance at a regional NSTA conference, and a concerted commitment to service learning in our community. This chapter currently has approximately 25 members representing both undergraduate and graduate programs, although most are undergraduate secondary (middle and high school) science education majors. Our Student Council for Exceptional Children (SCEC) boasts a large, consistent membership of approximately 35 to 40 teacher candidates who meet regularly, assist with functions held by the local developmental disabilities programs, and provide fundraising support for members of the community with disabilities as well as schools in need of resources for serving students with disabilities. This organization enjoys the leadership of a long-term and beloved advisor who has developed the group through many years of mentoring and modeling. In addition to our college of education, our university’s center for community engagement provides small grants for service learning projects. We were fortunate to receive funding for our Inclusive Science Day project to cover the cost of training materials used with our teacher candidates, consumables for science activities, and refreshments. In addition, this grant provided funds for two of our students to attend a regional NSTA conference early in the year at which they interviewed various leaders in the science education community as well as publishers and science education suppliers about their inclusive science materials. This experience was eye-opening for our students, who presented their findings at subsequent group meetings, as it set the stage for our Inclusive Science Day planning. In order to determine the potential for an Inclusive Science Day at an informal learning space, the OU-NSTA advisor raised the idea with a colleague from the College of Education, who is also on the board of the OVMoD to discuss possibilities. The colleague indicated that the museum had made concerted efforts to reach out to visitors with all abilities through use of universally-designed displays and a “sensory-friendly” day; she was completely open to the idea of having teacher candidates plan and teach at the museum but would need to discuss the idea with the museum’s executive director and other board members. The OU-NSTA advisor then met with the SCEC advisor, who was equally enthusiastic about the prospect of collaboration. Both the OU-NSTA and SCEC advisors then presented the idea to their respective executive board members who were highly receptive. Concurrently, the OU-NSTA advisor participated in an 8-week course on service learning offered by the university’s center for community engagement in order to better understand the dynamics of collaborative endeavors with community entities and to consider in depth both the potential learning opportunities for the teacher candidates and the service opportunities for the museum. While it might have been possible for this project to come to fruition without that training, the advisor felt that it undoubtedly prepared her for the potential benefits and challenges. Once all parties embraced Inclusive Science Day, the two advisors began to plan the training and research. Science benefits from having all students contribute to its advancement. There is a moral imperative for all students to have the opportunity to experience science. We then engaged in a “Can You Name This Scientist?” game in which candidates viewed pictures of famous scientists with disabilities and were asked to identify them. Scientists included Alexander Graham Bell (Dyslexia), Thomas Edison (Hearing Impairment and Dyslexia), Temple Grandin (Autism), Geerat Vermeij (Visual Impairment), Jack Horner (Dyslexia), and Stephen Hawking (Motor Neuron Disease), among others. Most of our candidates were unaware that such accomplished scientists also had disabilities and that their disabilities, in some cases, may have enhanced the scientists’ interests and abilities in their fields. For example, Geerat Vermeij, a world-renowned paleobiologist attributes his nuanced abilities in identifying mollusks to his ability to feel and attend to distinctions in shells that sighted scientists might overlook (Vermeij, 1997). We were excited to see our students’ interests so piqued after this activity. We then introduced the Universal Design for Learning (UDL; Meyer, Rose, & Gordon, 2014) framework, which allows teachers to develop lessons that meet the needs of the most number of learners thereby reducing the need for specific disability accommodations. The three principles of UDL are: 1) Multiple Means of Engagement (How students access the lesson or materials); 2) Multiple Means of Representation (How teachers present the material to the students); and 3) Multiple Means of Action and Expression (How students interact with the materials and show what they know). To help teacher candidates to better understand the potential barriers that students with disabilities might have in science class, we co-led a science activity in which students followed written directions for making and testing paper helicopters while assigning students equipment that helped them to simulate various disabilities. For example, some students received handouts that had scrambled letters to simulate Dyslexia, while others wore glasses that limited their vision. In addition, some students wore earplugs to simulate hearing impairments while others listened to conversations on headphones to simulate psychiatric disorders. Finally, some students had tape placed around adjacent fingers to simulate fine motor impairments, while others utilized crutches or wheel chairs. Students progressed through this activity for several minutes and then discussed their challenges as a class. We chose the helicopter activity because it required reading, cutting with scissors, throwing and observing the helicopters, and retrieving them; thus, this activity required a variety of intellectual and physical skills. We found that our students were quite impacted by this activity, as many indicated that they had never really thought about the perspective of students with these disabilities. In particular, the student who utilized a wheelchair said that she had never realized how much space was needed to accommodate the wheelchair easily during an active investigation. This led the group to discuss the need for us to set up our tables at the museum with sufficient space for all visitors to comfortably traverse the museum. Of course, we were careful to remind students that this type of simulation cannot accurately represent the true nature and complexity of anyone’s experiences, and that people with disabilities, like all individuals, develop adaptations for addressing challenges. However, this brief experience prompted our students to think about how they could redesign the lesson to ensure that as many students as possible could access it without specific accommodations. 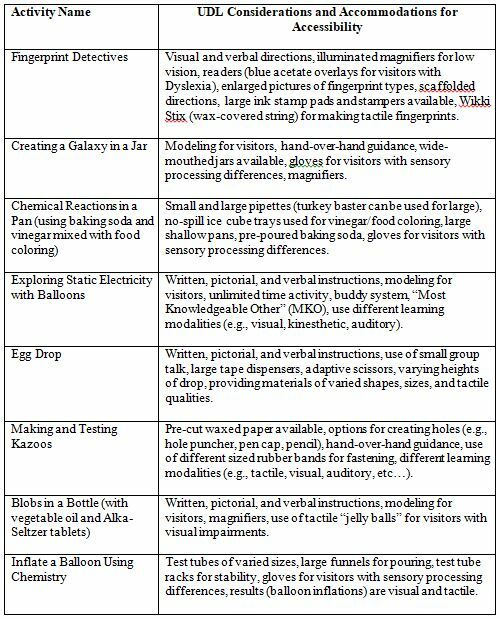 In addition to identifying activities that engaged different senses, our students thought about how to meet a variety of learners’ needs. 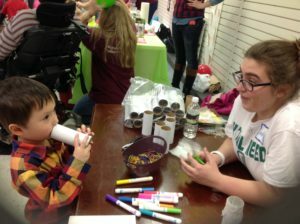 For example, magnifiers and large ink stamp pads would be available at the fingerprint station for all students, while the “Blobs in a Bottle” activity station had alternative “jelly balls” that could be felt by visitors who couldn’t see the vegetable oil “blobs.” The kazoo station, which used toilet paper tubes, waxed paper, and rubber bands, allowed visitors who could not hear to feel the movement of the waxed paper when the kazoos were played. The station also had adaptive scissors and pre-cut waxed paper for visitors needing fine motor skill support. 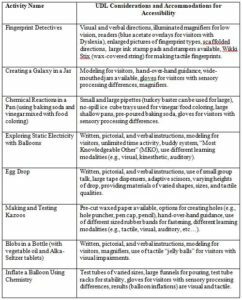 The UDL considerations and accommodations provided for each activity are contained in Table 1 below. The Inclusive Science Day was announced by the museum on social media, through our local schools, and through the local newspaper. The museum generously waived their admission fee for the day in order to encourage attendance as well. On the day of the program, students were asked to arrive two hours in advance to set up their stations. We provided lunch to ensure that we had time to speak to the group about the importance of the work they were about to do, and to allow the museum staff to convey any final instructions to the students. When the doors were opened, we were thrilled to see large numbers of families entering the museum space. Over the two hours that our program ran, the museum estimated that we had over 150 visitors, approximately three times their expected attendance. The attendance was so good that some of our student groups needed to send “runners” out to purchase additional materials; our “Galaxy in a Jar” group even began using recycled bottles from our lunch to meet the demands at their table. Safety was a consideration at all times. Goggles were made available at all tables with splash potential, and safety scissors were used at stations with cutting requirements. In addition, our students (and we) wore our clubs’ T-shirts so that visitors could easily identify instructors. Each activity table had at least one science education and one special education candidate co-teaching. We supervised the students by assisting in crowd control, helping to ensure that visitors could easily navigate through the rather limited museum space, obtaining written permissions for photos from parents/caregivers, and responding to candidate questions. Some photos from the day are shown in Figures 2-4. Figure 2 (Click on image to enlarge). “Blobs in a Bottle” activity demonstrating density and polarity of water and oil. Tactile “jelly balls” and magnifiers were available for visitors with visual impairments. Figure 3 (Click on image to enlarge). “Chemical Reactions in a Pan” activity using baking soda, vinegar, and food coloring. Varied sizes of pipettes and pans were available to address diversity in visitors’ fine motor skills. Figure 4 (Click on image to enlarge). “Exploring Sound with Kazoos” activity. Visitors were encouraged to use their senses of vision, touch, and hearing to test the instruments. Qualitative analysis of candidate pre and post responses resulted in themes that included: 1) candidates’ assessment of collaboration as a powerful professional development opportunity; 2) identification of different perspectives between science and special education candidates; 3) a common desire to do good work by making accessible for all students; 4) recognition of informal learning spaces as viable teaching venues; and; 4) a strong need for more training and opportunities to teach science to students with disabilities. Our findings support earlier research suggesting that teacher candidates are inclined toward inclusive practices (McGinnis, 2003) and that opportunities for collaboration with special education candidates enhance their comfort level in co-planning and co-teaching (Moorehead & Grillo, 2013). Our teacher candidates’ expressions of the depth of impact this professional development experience had on them makes sense when considered in light of Kahn and Lewis’ (2014) study which suggested that teachers’ experience with any students with disabilities increased their feelings of preparedness toward working with all students with disabilities. In addition, our findings reinforce studies suggesting that informal learning spaces can provide unique and flexible learning opportunities for teacher candidates, particularly in that they provided multiple opportunities to teach the same lesson repeatedly, thus allowing for reflection and revision (Jung & Tonso, 2006). Perhaps most importantly, this study underscores the desire for and efficacy of increased training and experience in implementing inclusive science practices during teachers’ pre-service educations. As students with disabilities are increasingly included in science classrooms, it is incumbent of teacher education programs to ensure that their science teacher candidates acquire the tools and the dispositions for teaching all learners. While more formal approaches, such as dual licensure programs and co-teaching internship placements are on the horizon for many programs, teacher education programs should not overlook the power of extracurricular events, informal learning spaces, and student organizations to provide important professional development opportunities for teacher candidates, pilots for new program development, and occasions to both serve and learn from the community. In this article, we describe an innovative, 6-course, 18-credit post-baccalaureate certificate (PBC) program for pre-kindergarten through grade six teachers (PreK-6) in Integrated Science, Technology, Engineering and Mathematics (iSTEM) Instructional Leadership (hereafter, the iSTEM program) at Towson University (TU). Here, the acronym, “iSTEM,” refers to education that not only addresses each of the S, T, E and M subjects, but also emphasizes the connections among them. We collaboratively contributed to the development of the program, and teach courses within it. The program graduated its pilot cohort of participants in 2015, is running its second cohort, and is recruiting for a third. We begin by describing the program’s origins, courses, and program team, and then expand on what we mean by an “integrated” approach to STEM education. This is followed by a discussion of: key aspects of program design and course descriptions, program evaluation and assessment, and our reflections on the program’s successes and challenges. From 2011 to 2014, the Maryland State Department of Education (MSDE) used Race-to-the-Top (RTTT) funding to award institutions of higher education in Maryland with small (max: $40K) one-to-three-year grants to seed the development of programs for preservice or inservice teachers to grow expertise in iSTEM education and be prepared to implement the state’s STEM Standards for K-12 students (MSDE, 2012). We received one of those grants between 2012 and 2014, enabling us to develop four iSTEM courses for in-service teachers. Within this same timeframe, MSDE approved an Instructional Leader: STEM endorsement (i.e., an additional credential for an already certified teacher) for PreK-6 teachers (Appendix 1). This endorsement was developed by a work group comprised of stakeholders – including teachers, school system science leaders, and higher education faculty – from across Maryland, one of whom was the first author (Instructional Leader: STEM (Grades PreK-6), 2014). To meet the needs of this endorsement, the program grew from four to six courses. 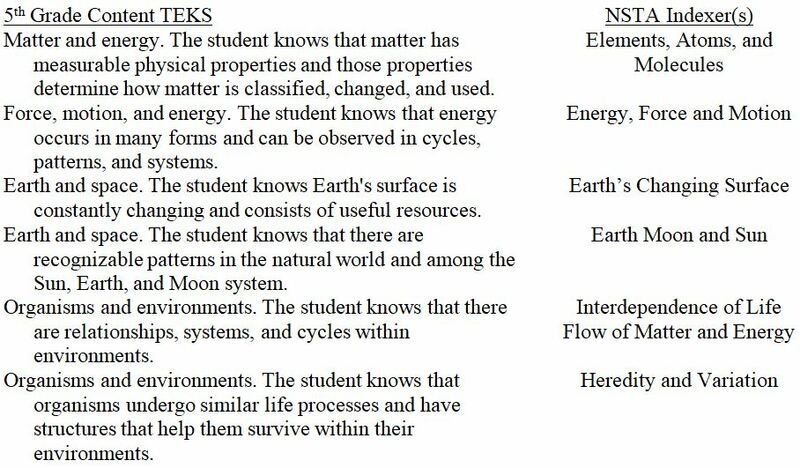 Within the six-course program, we refer to the first four courses as its “content courses.” These are: 1) Engineering, 2) Mathematics, 3) Environmental and Biological Science, and 4) Earth-Space and Physical Science in iSTEM Education. (Each content course title ends with “in iSTEM Education.”) These were completely new to TU and underwent the curriculum review process at the university. The fifth course, Transformational Leadership and Professional Development, was an existing course. The final course, Practicum in iSTEM Education, was a revised and renamed course from a previous science education graduate program. In 2014 and 2015, our iSTEM program went through thorough review by MSDE and the Maryland Higher Education Coalition (MHEC), ultimately gaining approval as a new PBC program able to award graduates with the aforementioned endorsement. Each course is three credits, taught one course at a time over a regular (i.e., fall or spring) semester, one evening per week. Our pilot program included a summer semester course; however, this is not a standard program feature. Program team members were recruited by the first author to develop the pilot program based on their expertise in STEM education and interest in teaching within the program. All team members are engineering, science, or mathematics education faculty (not content faculty). They each have extensive experience providing preservice and inservice teacher education and conducting research in their respective areas of education. For example, among the authors who are also program team members: Lottero-Perdue specializes in engineering and physical science education; Haines specializes in environmental and biological education; Bamberger specializes in mathematics education; and Miranda specializes in Earth-space and physical science education. While some had some experiences integrating their main content area with another (e.g., mathematics and science), most had not engaged in integration across all STEM subjects prior to engagement in this program. All but one of the pilot cohort instructors have taught or will be teaching the second cohort of the program. The exception is the instructor who helped to develop and taught the practicum course, Ms. Christine Roland. She had extensive science teaching experience, was a STEM coach for a local school system while she taught the pilot cohort, and is currently a Co-Director and Master Teacher for our university’s UTeach program. The new practicum instructor can be chosen from any STEM education area, and we have plans for this replacement. Recently, our mathematics team member, Dr. Honi Bamberger, retired. She recruited another member of her department, Dr. Ming Tomayko, to co-teach the mathematics course for the second cohort prior to her retirement. This provided support to the new team member to teach the mathematics course for subsequent cohorts. Our participants for our initial pilot program consisted of two elementary art teachers – both of whom were interested in the integrated nature of our program – with the rest being elementary level regular classroom teachers. Our current cohort participants are all regular elementary level classroom teachers who collectively teach grades 2 to 5. Integrated STEM education aims to engage students in learning experiences in which STEM subjects symbiotically work together to answer real questions and solve real problems. Rarely are human pursuits solely in one of these particular subject areas (National Academy of Engineering [NAE] & National Research Council [NRC], 2014). Three approaches implemented in PreK-12 education are multidisciplinary, interdisciplinary, and transdisciplinary integration (Vasquez, Sneider & Comer, 2013). In what follows, we briefly review these approaches, and then present our hub-and-spoke model of STEM integration. In multidisciplinary and interdisciplinary integration, one subject is addressed through the lenses of different disciplines. In multidisciplinary integration, a theme (e.g., penguins) is addressed in each subject, yet there are few conceptual linkages between the subjects. For example, students may learn about penguin habitats in science, and read the fictional storybook Tacky, the Penguin (Lester & Munsinger, 1990) in language arts. In interdisciplinary integration, a disciplinary approach is still taken on a topic, but conceptual links are stronger (e.g., social studies instruction about the geography of Antarctica informs science learning about the habitat of Emperor penguins). Transdisciplinary approaches are guided by an essential question or problem, ideally that has been shaped by student interests. In order to answer the question or solve the problem, students must learn and apply knowledge and practices from various disciplines. For example, if students wanted to design a penguin habitat for a zoo, they would need to explore how and where penguins live in their natural habitats to do so, apply mathematics as they considered the size of the habitat, and so on. Our iSTEM program favors interdisciplinary and transdisciplinary approaches over a multidisciplinary approach, given that our intent is for integration to involve conceptual links across disciplinary boundaries. Our iSTEM program uses what we call a hub-and-spoke model of STEM integration. Each of the content courses in the program emphasize both content knowledge and pedagogical content knowledge (PCK) for a “hub” or core content area (Gess-Newsome & Lederman, 1999). PCK represents “the distinctive bodies of knowledge for teaching” particular subjects (Schulman, 1987, p. 8). 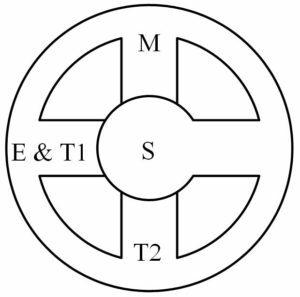 Each content course intentionally and meaningfully connects to other STEM areas via “spokes.” In this way, the hub-and-spoke model emphasizes interdisciplinary integration. 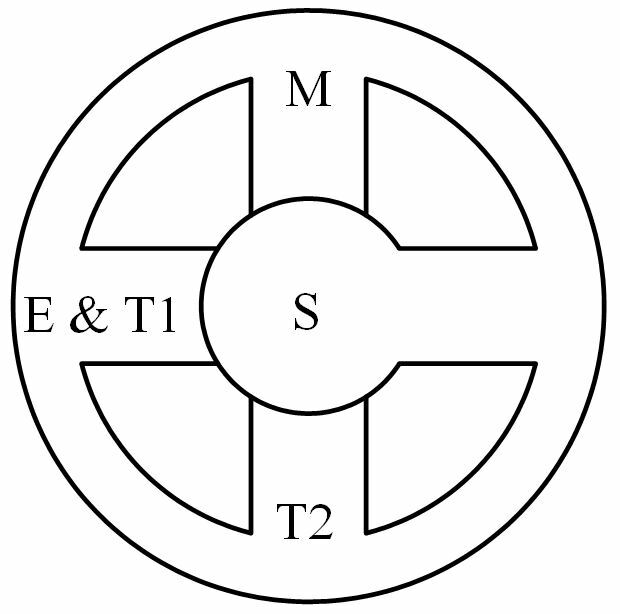 The spokes for the engineering course are science, mathematics, and technology (Figure 1). Although not featured as a separate course or hub, technology appears as part of the hub in the engineering course since one conception of the T in STEM, which we will call T1, is that technologies are products of engineering, and can be simple (e.g., pencils) or sophisticated (e.g., robotic arms). Thus, T1 technology and engineering are inherently paired. 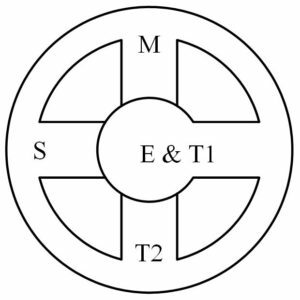 Another conception of technology, which we will call T2, is that sophisticated tools (e.g., digital scales) are used to develop STEM knowledge; T2 is addressed as a spoke in all of the courses. Hub-and-spoke depictions for the other content courses in the program are shown in Figures 2 and 3. Figure 1 (Click on image to enlarge). Hub and spoke model for the Engineering in iSTEM course. Figure 2 (Click on image to enlarge). Hub and spoke model for the Environmental and Biological Science in iSTEM course and the Earth-Space and Physical Science in iSTEM course. Figure 3 (Click on image to enlarge). 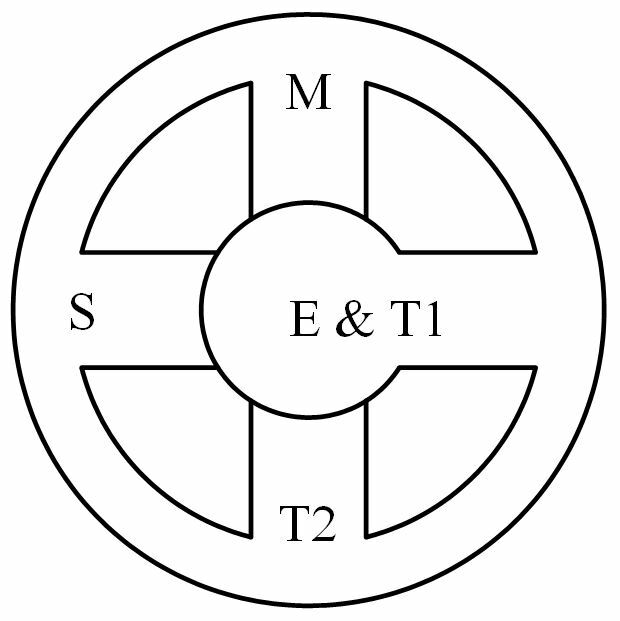 Hub and spoke model for the Mathematics in iSTEM course. Whether as a hub or spoke, STEM subject matter content and practices are addressed with rigor in the program. This is ensured by requirements across course assignments to reference STEM subject matter standards, e.g. : the Next Generation Science Standards (NGSS Lead States, 2013); Maryland Technology Literacy Standards for Students (MSDE, 2007); the Maryland State STEM Standards of Practice (MSDE, 2012); the Standards for the Professional Development and Preparation of Teachers of Engineering (Reimers, Farmer & Klein-Gardner, 2015); and Common Core State Standards (CCSS) in mathematics (National Governors Association Center for Best Practices [NGAC] and Council of Chief State School Officers [CCSSO], 2010). Course syllabi were developed collaboratively by program team members, contributing to the STEM integration within each course. During syllabi development, team members took on roles as “hub leaders” and as “spoke experts” depending on the course. Hub leaders have explicit expertise in hub areas and were the pilot instructors of program’s content courses. For example, Lottero-Perdue is an engineering educator, conducts engineering education research, and provides PreK-8 preservice and inservice teacher education in engineering. She is the hub leader for the engineering course, and was a spoke expert for the other content courses, offering suggestions and advice to other hub leaders regarding how to approach engineering within their courses. This collaborative process was most intense during syllabus development, with syllabi developed, modified, and improved with input from hub leaders and spoke experts. Input was provided in face-to-face meetings, as well as electronically. Once courses were in session, hub leaders reached out as needed to spoke experts for additional support. For example, Lottero-Perdue reached out to Bamberger for advice on the integration of mathematics within a new unit for the engineering course that ran in fall 2016 for the second cohort of the program. 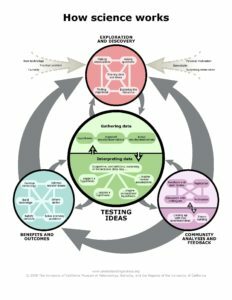 The hub-and-spoke integration model in the iSTEM program is consistent with four recommendations made by the NAE and NRC within their report, STEM Integration in K-12 Education, for designers of iSTEM education initiatives. Two of these recommendations are relevant here. First, the report urges designers to “attend to the learning goals and learning progressions in the individual STEM subjects” (2014, p. 9) – i.e., the course hubs. Second, the report encourages designers to make STEM connections explicit – i.e., via the spokes. The two remaining recommendations regarding professional learning experiences and program goals will be addressed in what follows; all four recommendations are summarized in Table 1. The hub-and-spoke model is relevant to the overwhelming majority of elementary educators who have dedicated blocks of time in mathematics and science, and can use those “hubs” to reach out meaningfully and purposefully to the other STEM subject areas. This model is ideal for interdisciplinary integration, and is also inclusive of transdisciplinary approaches. The order of the courses, as well as the degree of structure provided throughout these courses via the instructor and curriculum, was highly intentional in the program’s design (see Table 2 for a summary of program courses). 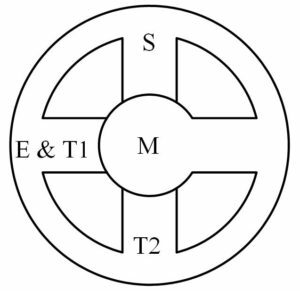 The first course is the engineering course since this is the STEM subject that is most likely to be unfamiliar to elementary teachers (Cunningham & Carlsen, 2014; Cunningham & Lachapelle, 2014; NAE & NRC, 2009; NAE & NRC, 2014). After this course, the integration of engineering within other courses is less onerous. As participants move through the program, the structure provided by the curriculum and instructor is gradually reduced. The first course has participants engage in and reflect on particular, instructor-selected iSTEM units. By the time participants get to the fourth content course, they are driving their own open-ended, transdisciplinary, iSTEM projects. The imposed structure of having to attend to particular STEM content is removed completely within the final two courses in the program. These courses support participants as they develop into iSTEM leaders who decide how to craft their own curricula and design and lead their own professional learning experiences. 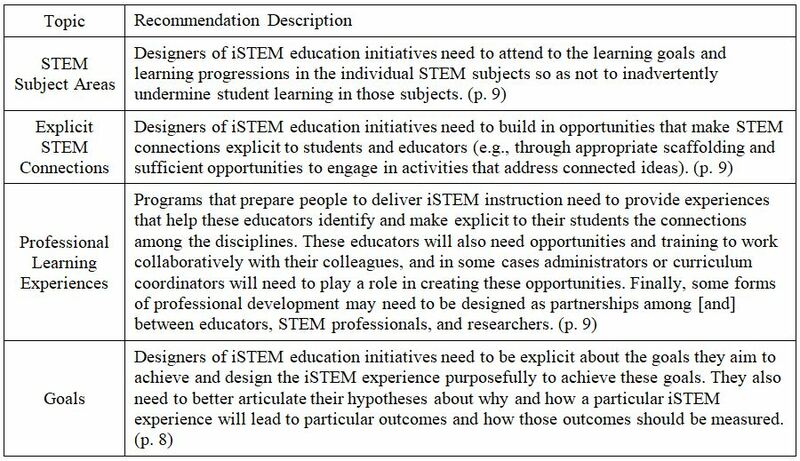 This addresses the “Professional Learning Experiences” recommendation for STEM education in Table 1 (NAE & NRC, 2014). In this section, we describe each content course. Following this, we briefly summarize the final two leadership courses. One common theme across all of the courses is that they all utilize constructivist, active learning approaches (Johnson, Johnson & Smith, 2006). In this way, no matter the course, participants work collaboratively, communicate their ideas regularly, think critically, and problem solve. Three principles for K-12 engineering education identified in the report, Engineering in K-12 Education, were that engineering education should: 1) “emphasize engineering design,” 2) “connect to other STEM areas”, and 3) “promote engineering habits of mind” (NAE & NRC, 2009, pp. 151-152). 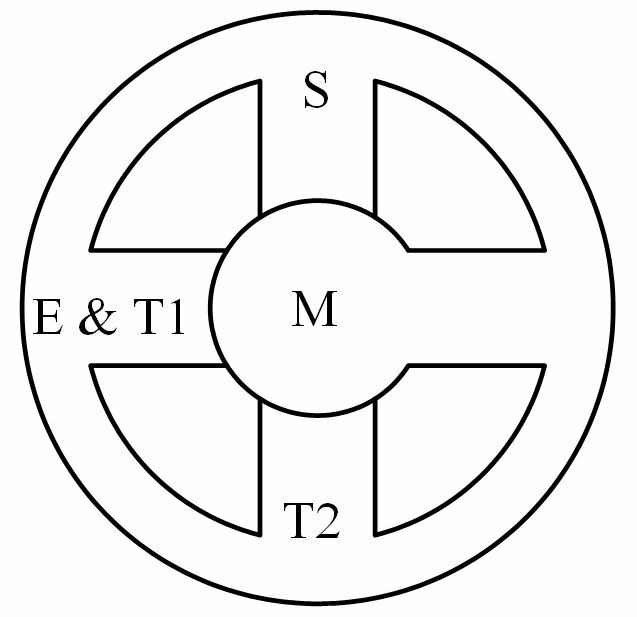 The first and third principles represent key “hub” ideas for this course; the second represents its STEM spoke connections. Engineering design involves generating solutions to problems via an engineering design process (EDP). The EDP includes defining and researching a problem, brainstorming, planning, creating, testing, and improving (NGSS Lead States, 2013). Engineering habits of mind are fundamental dispositions of the engineering community, and include creativity, collaboration, systems thinking, and resilient responses to design failures (NAE & NRC, 2009). The hub of the Engineering in iSTEM Education course emphasizes the EDP and engineering habits of mind. The course is organized into thirds. Participants have reading assignments each week, write a brief reflection, and discuss the readings in peer groups. During the first third of the course, they read sections of a chapter about how to incorporate engineering within science education (Lottero-Perdue, 2017). The chapter provides foundational hub content knowledge and PCK early in the semester. In each of the second and third parts of the semester, participants read a biography of an innovator who – perhaps not by title, but by action – has engineered in a real-world context. One of these was The Boy who Harnessed the Wind (Kamkwamba & Mealer, 2016). At the end of the semester, participants write a paper reflecting on how the individual engaged in the EDP, demonstrated engineering habits of mind, and applied other STEM areas. There are three major engineering-focused, interdisciplinary iSTEM units in the course. In each unit, science, mathematics and technology are in service to the goal of solving an engineering problem through the use of an EDP and by applying engineering habits of mind. For all three units, participants keep an iSTEM notebook, work in teams, and present their findings in a poster presentation. During one of the class sessions, participants visit a local engineering or manufacturing company relevant to one of the three units; e.g., a packaging facility related to a package engineering unit (EiE, 2011). The three units focus on different age bands: PreK-Grade 2, Grades 2-4, and Grades 4-6. For example, in the PreK-2 unit, participants used an early childhood EDP to design a sun shelter – a technology – for a lizard (Kitagawa, 2016). They made science connections to thermoregulation in lizards via trade books, and used flashlights to explore light and shadows via experimentation. The EDP reinforced counting and simple measurement, and attended to precision as they planned and tested their designs (NGAC & CCSSO, 2010). After learning the first two units of the course, participants selected one and wrote a paper describing: how they engaged in the EDP and engineering habits of mind in the unit; how the unit connected with other STEM areas; and how they would apply and improve the unit for use within their school. A key purpose for environmental and biological science education is to develop students’ environmental literacy, the guiding principle for this course. Developing this literacy involves growing knowledge of significant ecological concepts, environmental relationships, and how humans relate to natural systems (Berkowitz, 2005; Coyle, 2005; Erdogan, 2009). It also focuses on developing responsible environmental behavior, without specifying what that behavior should be. The hub in this course satisfies the central objective of enhancing participants’ environmental literacy, and preparing them to develop this literacy in their students. Course topics include: environmental issues related to the Chesapeake Bay; human population growth; environmental aspects of farming and agriculture; and urban planning. Special attention is given to global climate change and water issues. Emphasis is also placed on applying the concept of field science to students in the elementary grades, encouraging learning in “outdoor classrooms” (Haines, 2006). The course includes a variety of inquiry-based class activities and projects, including finding the biodiversity of a sample, conducting a biological assessment of a local stream, analyzing physical and biological parameters of habitat, and conducting a soil analysis. Participants engineer solutions to problems (e.g., designing a floating wetland), use technology (e.g., GIS, Vernier probeware), and apply mathematical concepts (e.g., logarithms in pH, biodiversity in square meter plots) as they engage in these activities and projects. As with the engineering course, participants read, reflect on, and discuss reading assignments each week. Assessments require participants to integrate natural science concepts into a variety of teaching formats, and design learning experiences that combine in class and field based instruction with all STEM subject areas. Final projects are unit plans that must include an outdoor component and issue investigation. Each participant fully plans an iSTEM environmental action project (Blake, Frederick, Haines, & Colby Lee, 2010) appropriate for completion at his/her school site with his/her students. Each project must include a clear rationale as to why the project was chosen for the particular school site. In addition, each project must have planned activities and learning experiences for the K-6 students that integrate environmental content with other STEM subjects. These learning experiences must include written lesson plans that are appropriate for students at the grade level the participant is teaching with appropriate objectives. Emphasis is placed on projects that are focused and manageable. Strong emphasis is also placed on project planning and implementation that are possible at the proposed school. Projects have included stream assessments, installing ponds on school property, planting trees to provide habitat and reduce erosion, and creating rain gardens to alleviate run-off issues on school grounds. The Common Core State Standards for Mathematics (CCSS-M) represents not only what content and skills K-12 students need to know to prepare them for college and career, it also develops students’ mathematical habits of mind (NGAC & CCSSO, 2010). These habits of mind are developed as students investigate problems, ponder questions, justify their solutions, use precise mathematics vocabulary, and realize how mathematics is used in the real world. There are two primary objectives of this course: 1) to develop participants’ mathematical habits of mind, content and practices, and to prepare participants to help students do the same; and 2) to situate mathematics within the real world, which is inherently integrated in nature. As part of addressing the first principle, participants routinely solve engaging problems in teams; share diverse problem-solving strategies; and read and interpret graphs, charts, and facts. To address the second, we employ a thematic approach for this course. Thus far, the course theme has been water and its importance to survival; a different theme may be used in the future. Mathematics-infused iSTEM activities related to water and survival topics include: representing the distribution of water on Earth; exploring precipitation amounts around the world and considering the causes and consequences of drought; investigating the causes and effects of floods; considering the effects of the public water crisis in Flint, Michigan; and looking at how water-borne illness is spread (The Watercourse/Project International Foundation, 1995). During the first half of the course, participants read, write reflections about, and discuss two texts: 1) STEM Lesson Essentials (Vasquez et al., 2013); and 2) the STEM focus issue from the journal, Mathematics Teaching in the Middle School (National Council of Teachers of Mathematics, 2013). In the second half of the course, participants read A Long Walk to Water (Park, 2010), the true story of Salva Duk, one of the “lost boys” of the Sudan who walked 800 miles to escape rebels in his homeland and to find clean water. There are two major assessed projects in the course. One is the generation of a mathematics-focused iSTEM lesson plan. Participants write the plan, teach the lesson to their students, and reflect – in writing and via a presentation – on the implementation and success of the lesson. 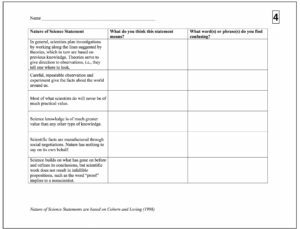 The lesson, written reflection and presentation are graded using rubrics. The other major project is the iSTEM Collaborative Research Project. It is a semester-long project in which participants, working in teams of two, decide upon and research a water-and-survival related problem (e.g., oyster reduction in the Chesapeake Bay). Each participant writes an extensive paper reflecting the results of their research, and each team presents the results to the class. Among many other parameters, participants must demonstrate how mathematics is used to better understand the problem, and how connections are made to other STEM subject areas. This final content course of the program is the second course in which science is the hub; the first science hub course focused on environmental and biological science. As such, this final course reinforces prior learning of scientific practices (e.g., evidence-based argument, development and use of models) and crosscutting ideas (e.g., patterns, cause and effect), while emphasizing a new set of disciplinary core ideas in Earth-space and physical science (NGSS Lead States, 2013). Beyond attending to these dimensions of science learning, the major principle of this course is for participants to learn and practice more student-centered, open-ended, transdisciplinary iSTEM educational experiences. Two related objectives of the course are to: 1) explicitly utilize Project-Based Learning (PjBL) as a framework for transdisciplinary iSTEM education (Buck Institute for Education [BIE], 2011); and 2) employ and practice the Question Formulation Technique (QFT) as developed by Rothstein & Santana (2011), a technique to encourage students to generate their own questions. The course has three major units in which assignments and course readings are interwoven: 1) Landforms & Topography on Earth and Beyond, 2) Communicating with Light and Sound and Other Signals, and 3) Tracking the Sun: Solar House Design. Each unit includes an iSTEM project, primarily done during class time. For example, in the second unit, the hub focused on science content knowledge and PCK related to light travel, light reflection, sound travel, electromagnetic waves, and satellites. Participant teams are informed that they are members of the Concerned Citizens about Asteroid Impact on Satellites (CCAIS) and are asked to write a persuasive letter to Congress arguing how our current communication satellites are in danger of asteroid impact, what effect that might have on society, and how funds should be directed towards research and development on alternative communication systems. Teams specifically connect to other STEM areas by drawing from knowledge of satellite technology systems, mathematical and scientific principles of those systems, and knowledge of asteroid impact likelihood in their argument. Teams are assessed for project quality and presentation quality. Individual team members are assessed by their team for their collaborative efforts and contributions to the team, and by the instructor through a short (one-to-two-page) reflective paper regarding the project. There are two out-of-class projects in the class. One of these is the Encouraging Student Questioning through QFT Project. In this project, each participant identifies an opportunity in her/his science, mathematics or STEM curriculum to apply the QFT. Each participant writes a proposal explaining the context in which she/he will apply the QFT and the details of the planned QFT focus (Proposal Stage). 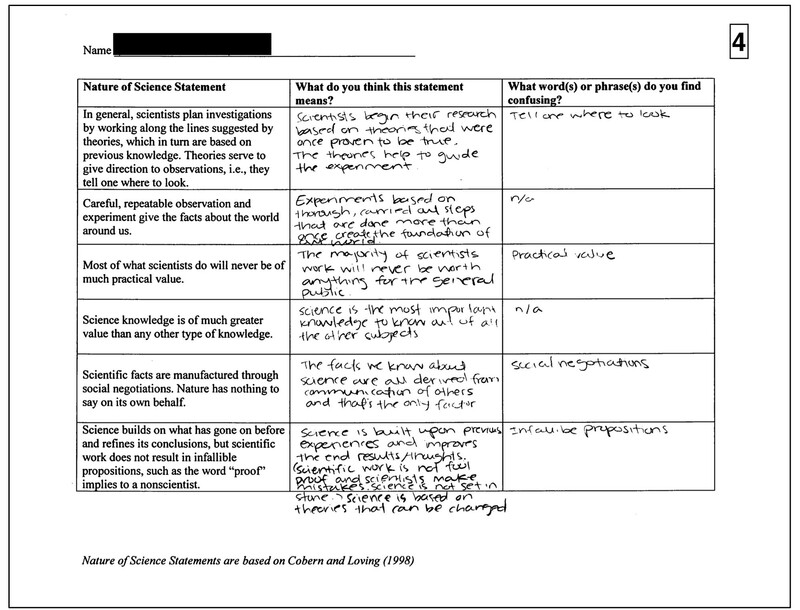 After employing the QFT in her/his classroom as planned and collecting student artifacts, each participant writes a reflection regarding the process, impact on students, and impact on subsequent engagement in the curriculum (Reflection Stage). The second major project in the course is the iSTEM Unit Analysis and Redesign Project. Each participant redesigns an existing Earth-Space science or physical science unit of instruction in his/her school system, redesigning it within iSTEM PjBL framework that utilizes at least one QFT experience. For the first part of the project, each participant conducts an analysis of the existing unit. For the second, each participant submits a redesigned unit proposal and a PjBL plan, including a Project Overview, Teaching and Learning Guide, and Calendar (BIE, 2011). After growth in content knowledge and PCK in the four content courses in the program, participants focus on the development of leadership skills in their final two courses. The first of these courses, Transformational Leadership and Professional Development, helps grow participants’ knowledge base regarding best practices and standards for professional learning at the school and system level (Leaning Forward, 2012; Reeves, 2010). This course is taught within the TU College of Education’s Department of Instructional Leadership and Professional Development (ILPD). Kathleen Reilly, an ILPD faculty member, has taught this course for the iSTEM program, helping participants to identify an area of need and create a plan for an iSTEM professional learning experience (PLE) within their school or system. Part of the second leadership course, Practicum in iSTEM Education, involves implementing that PLE plan and reflecting upon it. Participants meet face-to-face for approximately half of practicum sessions. Participants must design a second PLE in the practicum, implement it, and reflect upon it; this second PLE must be different than the first. Additionally in the practicum, participants must design and teach an iSTEM lesson to preK-6 students in a grade level other than those whom they normally teach, and include an assessment of impact on student learning for that lesson. For example, a second grade teacher in the program may develop, teach, and reflect upon an iSTEM lesson for fifth grade. Each participant negotiated teaching a class in another grade level. Participants arranged to swap with another teacher in the school for approximately three to four one-hour teaching sessions. Participants were required to organize this, and administrators were supportive of their need to do so. At the end of the practicum, participants reflect upon and present to an audience of peers, teachers, administrators and instructors about their iSTEM leadership growth. Throughout the course, participants work in professional learning communities (PLCs), i.e., peer groups who provide feedback and input as participants develop and reflect on their iSTEM professional development, lesson, and leadership growth projects (Dufour, 2004). Across all of these projects, participants implement essential learning from previous coursework about integration, STEM standards and best practices, and best practices in professional learning and leadership. Program quality has been evaluated via: 1) external evaluation of the grant-funded portion of the four-course pilot (engineering, environmental and biological science, mathematics, and the practicum); 2) the development and subsequent external approval of its assessment plan; 3) results from assessment implementation; and 4) the new opportunities made available to and work of its graduates. The external evaluator’s review of the four-course pilot program was extensive and included: 1) a short pre-program survey; 2) affective behavioral checklists given after each of the three content courses (Appendix 2); 3) visits by the external evaluator to each class, including to major project presentations within each course; 4) a 37-question final program survey (Appendix 3); and 5) exit interviews conducted after each course. It is beyond the scope of this paper to share all results from the evaluation report; we share major findings here. The pre-program survey indicated that 9 of the 10 incoming pilot program participants had received some PLEs in STEM subject(s) prior to the program; for six, this included a week of participation in a Science Academy. Also on this survey, when asked about their comfort level giving a one-hour presentation on iSTEM education in the next month, the responses were: Very uncomfortable (1 participant); somewhat uncomfortable (2); slightly comfortable / slightly uncomfortable (3); somewhat comfortable (4); very comfortable (0) (median = 3). Aggregating affective behavioral checklist data across all three content courses, all 10 participants felt: more confident using, teaching or designing iSTEM lessons; and that the courses increased their interest and/or capabilities of assuming future iSTEM leadership roles in their schools, the school system, and the state. Post-course interviews included feedback – given anonymously to the instructors through the external evaluator – from participants about each content course; feedback was both positive and constructive. While innovative assessments of student learning were developed for each program course – including those in four-course pilot – a formal program assessment plan was not implemented for the pilot cohort. Rather, the assessment plan was developed as the pilot cohort of the iSTEM program took their courses. Also, the pilot cohort took the courses out of order. This was due to the initial grant-funded version of the program being four courses (engineering, mathematics, environmental and biological sciences, and the practicum), and the final version being six courses (adding the leadership and professional development course and the Earth-space and physical science course) in order to earn the endorsement. The endorsement was not in draft form until after two of the first four courses had been taken by program participants; it was not formally approved until after participants completed the fourth course. Ultimately, seven key program assessments were developed to evaluate the program (Appendix 4). 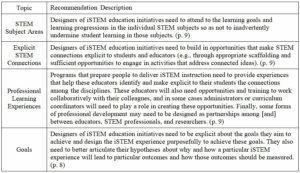 These assessments address required outcomes of the program for the Instructional Leader: STEM Endorsement, i.e. : STEM subject content, iSTEM content, iSTEM research, planning, impact on student learning, and leadership. Five assessments measure student performance directly via course assignments evaluated via extensive rubrics. Two are indirect measures: grades and the final program evaluation. As mentioned previously, the six-course iSTEM program underwent rigorous external, administrative review by the state MSDE and the MHEC. Representatives from these agencies ensured that the program’s assessment plan addressed the aforementioned outcomes. MSDE representatives not only reviewed the overall plan, but also reviewed each assessment and corresponding rubric to determine whether or not the program addressed specific aspects of state STEM standards. Formal approval of the assessment plan and program was finalized in May 2015, just days before seven pilot program participants earned their iSTEM PBC. As our assessment plan suggests, a robust program assessment includes both direct and indirect measures. Much of the external evaluation of the pilot program included participants’ assessments of their learning outcomes (e.g., in the final program evaluation). While these provide some good information, participants’ answers may have been biased towards attempting to please the external evaluator or its instructors. Grades are another indirect measure of program success, but are more objective. Of the 7 PBC graduates from the six-course pilot program, all earned As or Bs in their courses. Thus far, all participants in the second cohort have earned As or Bs in their first two courses. More telling about learning outcomes is participant performance on direct assessments. What we can share here are results from two of those: 1) from the first cohort’s iSTEM Unit Analysis and Redesign Project; and 2) from the second cohort’s iSTEM Research Project (see Appendix 4 for a more robust description of these projects). On the iSTEM Unit Analysis, after revisions were allowed to improve overall quality, grades ranged from 80% to 100% (mean = 94%); the range was from 60% to 100% initially. The range for the iSTEM Research Project was 70% to 80% (mean = 92%). The external evaluator also mentioned anecdotal evidence in her report that spoke to participants’ iSTEM leadership potential and engagement at the end of the program. S/he noted: at the end of practicum final presentations, leaders from two school systems in which participants taught inquired about their interest in designing new iSTEM units for the school system; one participant got a new job at a private school in a large city as a science and math teacher; another received a grant from an ornithological organization; and three were planning to deliver an iSTEM PLE to administrators in their school system. Since this time, most of the 9 pilot program completers and 7 PBC program graduates have stayed in their classrooms, have become enrichment teachers, or work as integration specialists. Collectively, they have led numerous iSTEM PLEs for teachers and administrators, some of which have been at the state level. They have implemented iSTEM clubs and family nights at their schools, contributed to re-writing district science curriculum to better align with the NGSS, and three have earned regional recognition as “Rising Stars” or “Mentors” in STEM education by the Northeastern Maryland Technology Council. Of the ten members enrolled in the ongoing second cohort of the program, two have recently received scholarships to receive Teacher Educator training through the Engineering is Elementary program in Boston, Massachusetts. The biggest challenge we face has to do with teacher recruitment. Many teachers may be too overburdened with curricular changes and new testing demands to begin a new and optional program. Also, for some school systems – particularly without STEM funding through efforts such as RTTT – iSTEM is less of a priority compared with other initiatives in early childhood and elementary education. Further, some school systems have clearer career pathways (e.g., STEM specialist positions) than others to motivate teachers to join an iSTEM program or earn the endorsement. For those who are interested in iSTEM education, we have competition; participants can choose from about five other programs in the state that offer a path to the endorsement (funded by the same grant that seeded our program.) A secondary challenge is retention. We have a master’s-level program; rigor is essential, but participants with many demands and busy schedules may drop out if the work burden is too high. Some attrition is to be expected, yet we are observing and making some changes to ensure that the program has the right balance of rigor and flexibility to meet the needs of busy, hardworking teacher-participants. Despite these challenges, we are optimistic about our current and future cohorts, and have made changes to improve recruitment. Our program is available as a stand-alone post-baccalaureate certificate (PBC), and it serves as a set of electives for a master’s degree in educational leadership. This provides future graduates with master’s and an administration certificate in addition to the PBC and STEM endorsement. The first author, who is also the program director, has worked with colleagues in the ILPD Department of TU’s College of Education to make this combined degree pathway clearer to our students. We offer courses during the regular semesters (fall and spring) of the academic year, typically once per week in the evening. This is preferable for full-time faculty who teach in its courses and typically want the courses to be taught as part of their teaching load. This also works with school systems’ reimbursement schedules (e.g., for those that offer two courses per year worth of reimbursement to participants in system-supported programs). Recently, we have begun to blend the iSTEM PBC, mixing online with face-to-face instruction. Our goal: content courses will be one third online and two thirds face-to-face; the fifth course will be completely online; and the final practicum course will be half online and half face-to-face. This will reduce the frequency of participants’ visits to campus, focusing those face-to-face visits on hands-on, team-based experiences, and will encourage participants’ use of interactive technologies (e.g., uploading project-related video logs). We conclude by sharing that the process of growing this program has been messy and non-linear. A more straightforward trajectory would have included knowing the parameters of the endorsement prior to creating a program that aimed to address it. Instead, these criteria arrived mid-way in our innovation process. Such is the case with design: sometimes the criteria or constraints change, and designers must respond accordingly. The (small) amount of seed money that we gratefully received from the MSDE aimed to spark the creative development of an iSTEM program for practicing PreK-6 teachers, something that had not been done before. Five years after receiving this award, we continue to improve and refine our program, and yes, we continue to innovate. Innovation is generative, exciting and frustrating, and for this program, has contributed to the growth of our iSTEM program graduates who – we believe – are prepared to lead students, teachers, and administrators in meaningful iSTEM learning experiences. In the past two decades, there have been continued calls for elementary teachers to encourage children’s natural curiosity by providing opportunities for children to be actively engaged in various aspects of scientific inquiry including making observations, developing questions, performing investigations, collaborating with peers, and communicating evidence and findings (NGSS Lead, 2013; NRC, 2007; NSTA, 2002, 2012). The National Research Council’s utilization of the term ‘practices’ is aimed at providing a more comprehensive elucidation of “what is meant by ‘inquiry’ in science and the range of cognitive, social, and physical practices that it requires” (NRC, 2012, p.30). Engaging students in these scientific practices through experiential learning opportunities enables them to “to deepen their understanding of crosscutting concepts and disciplinary core ideas” (NRC, 2012, p.217). 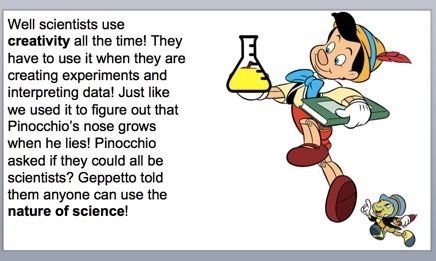 Regrettably, the reality of science instruction in the early grades is contrary to the recommendations. In addition to the obstacle of lack of instructional time, elementary teachers’ own inadequate scientific knowledge, inaccurate beliefs about the nature and process of science, and negative attitude and low self-efficacy with respect to science and science teaching (Kazempour & Sadler, 2015; Fulp, 2002; Keys & Watters, 2006; King, Shumow, & Lietz, 2001) are all major contributing factors accounting for the minimal and mediocre coverage of science witnessed in the early grades (Banilower, Smith, Weiss, Malzahn, Campbell, & Weiss, 2013). Elementary preservice teachers’ prior K-12 encounters with science not only shapes their beliefs about science, but also significantly influence their attitude toward the subject and level of confidence in learning or teaching science (Appleton, 2006; Avery & Meyer, 2012; Hechter, 2011; Kelly, 2000; Tosun, 2000). According to the 2012 National Survey of Science and Mathematics Education, only 39% of elementary teachers indicate feeling “very prepared to teach science” in comparison to 81% in literacy and 77% in mathematics (Banilower, et al., p. 41). The combination of negative attitude and low self-efficacy with respect to science and science teaching often influence elementary teachers’ instructional practices; either avoiding science altogether or relying on brief, scripted, and text or worksheet focused strategies. Achieving the goal of developing young children’s understanding of the scientific process will depend extensively on the type of educational experiences they encounter in the classroom. Hence, it is critical that teachers be provided transformative and reflective opportunities that lead to changes in their beliefs, attitudes, confidence, and ultimately their science instructional behaviors (Mullholland & Wallace, 2000). 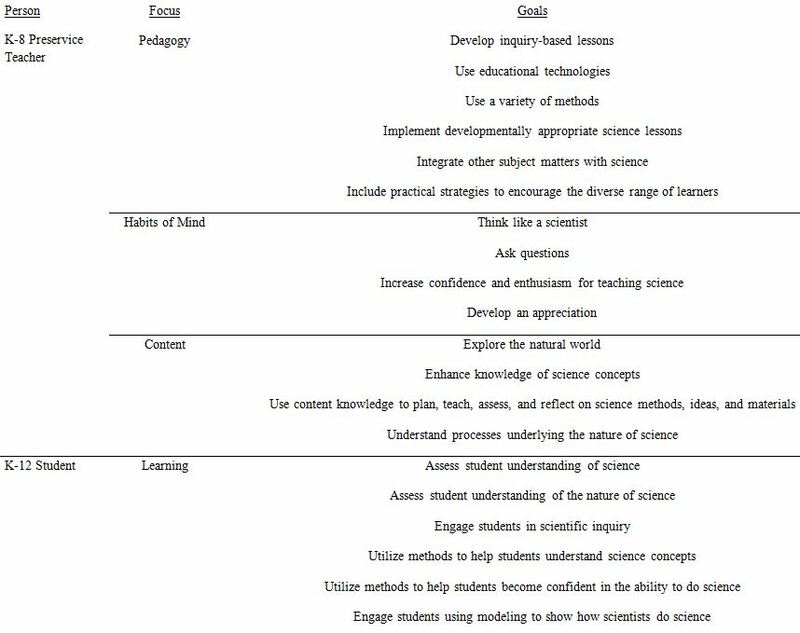 Elementary science content and methods courses which account for and address preservice teachers’ prior experiences, beliefs, and attitudes through alternative science experiences have been shown to lead to positive changes in these domains (Morrell & Carroll, 2003; Tosun, 2000). This article focuses on a project, the Home Inquiry Project, that I have implemented in my elementary science methods course so that preservice teachers have an opportunity to experience and be immersed in the process of scientific inquiry in order to gain a more accurate and complete understanding of the process. The Home Inquiry Project is a component of the science methods course that I teach at one of the campuses of a large Northeastern university. The elementary teacher candidates enroll in the science methods course during the fall semester of their senior year in the program. They are concurrently enrolled in the social studies and mathematics methods courses and the two-day field experience in the local urban school district. Most of the students in the course are female, Caucasian students from either the small towns or urban cities in the approximately 50-mile radius of the campus. During the first two years of the program, they are required to enroll in three science content courses, one from each discipline of life, physical and earth science. 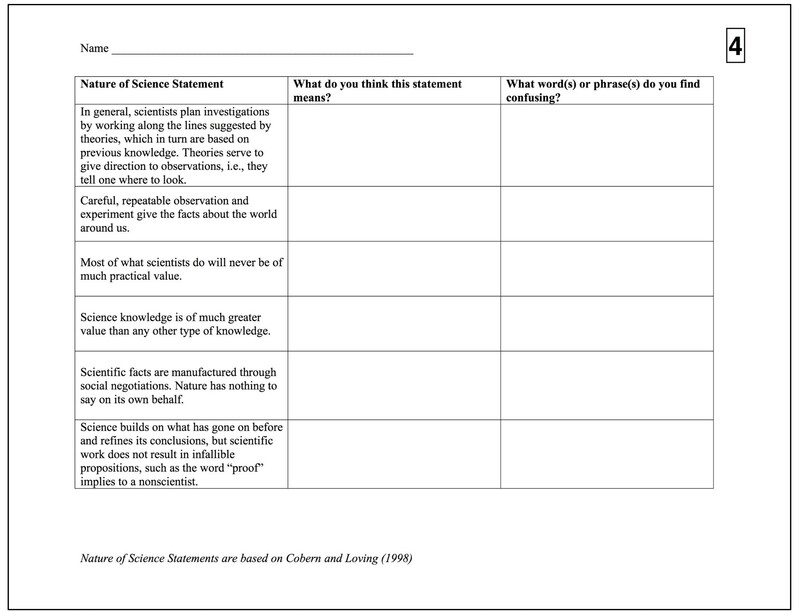 The Home Inquiry Project originated from an idea I had come across in several articles dealing with engaging preservice teachers with their own authentic inquiry investigations as a component of their science content or methods course. However, the authentic experiences described in these examples only focused on the design and implementation of scientific investigations with emphasis on hypothesis testing and identification of variables. As Windschtill (2004) suggests, preservice teachers may still hold on to their longstanding views of science as the step-by-step and linear scientific method and that such investigation experiences may “do little more than confirm these beliefs through the course of investigative activity” (p. 485). In my methods courses, I introduce students to the cyclical and complex model of scientific inquiry as depicted in Figure 1. This model is comprehensive in that it encompasses the scientific practices emphasized by the NGSS, underscores the importance of community analysis and feedback, and emphasizes the interdependence of science, engineering, and technology, and the influence of science, engineering and technology on society and the natural world (NRC, 2012). Therefore, I wanted to design a project that would provide my students an experience which would more genuinely mimic this cyclical and more complex process of scientific inquiry, including the components of the process that typically receive less attention such as the connection of science to society, community feedback, role of serendipity and creativity in science. Since 2011, I have implemented the Home Inquiry Project in my methods courses and the impact on the preservice teachers’ views about and attitude toward science has been remarkable (Kazempour, in press). On a daily basis, observe the sky and record your observations. Try to do so at the same location. Include the date and time, location, a description of what you observe, a drawing or a photo of what you see, questions you wonder about, etc. On a nightly basis, observe the sky and record your observations. Try to do so at the same location. Include the date and time, location, a description of what you observe, a drawing or a photo of what you see, questions you wonder about, etc. Pick a site (same location each day). It could be your backyard, a local park, on a beach, next to a pond, in a field, etc. On a daily basis, observe the area (choose a smaller area within that location to focus on if the location is too large) and record your observations. Include the date and time, location, a description of what you see, a drawing or a photo of what you see, questions you wonder about, etc. 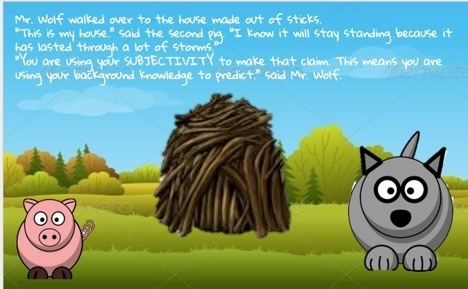 During the next class session, they are introduced to different types of observations (qualitative vs. quantitative), inferences, and predictions, and are asked to extend their inquiry to include different types of observations, inferences, and predictions. During the following week, a segment of the class is devoted to discussing their initial observations, questions, and inferences as well as their thoughts on the process up to that point. The team and subsequent whole-class discussion prompts students to think about possible questions that they are interested in or ways they can extend their observations. For example, they point out that their initial observations were limited to what they could “see” and how after our discussion they were incorporating their sense of smell, hearing, and even touch. Some of them indicate during the first discussion session that they are already losing interest in what they were initially making observations of and have found themselves wondering about other things that they were noticing. For example, students who observe the daytime sky, often speak about becoming interested in the birds that flew by or the jet contrails they could observe in the sky. We discuss the fact that they can make observations of and ask questions about anything that interests them and are not confined to a particular aspect of the sky or the field. During the next two class sessions, they are introduced to the scientific inquiry model through a number of collaborative activities, discussions, and the video, Science in Action: How Science Works, by California Academy of Sciences, about the accurate model of scientific inquiry and its connections to authentic scientific work. At this point, I have them work in small teams to discuss the components of the inquiry model they have already been involved with in the Home Inquiry Project and ways they could engage in more components. They are instructed to make another week’s worth of observation, as frequently as they deem necessary, and explore how they may want to extend or redirect their projects. We discuss the flexibility of the process and how they are not confined to the original options they had selected which were meant to simply provide them an initiation point. During the next class session, after we briefly discuss their ongoing experiences and possible modifications in their project, I provide the final set of instructions for the project. They are instructed to continue with their projects in any way they wish to as long as they are engaged with the components of the scientific inquiry model. I explain that they can refine their investigations, continue gathering data, search the literature, reshuffle their project at any time, and so forth. Some may wish to gather evidence while others may want to restart with an entirely different question or simultaneously investigate several related questions. Similarly, some many want to explore societal connections of their topic or search the literature to expand their understanding of the concepts or issues they encounter. At this point, they are informed that the project will culminate in approximately six weeks with individual presentations of their projects during week 10 of the course. Depending on class size, students are allotted approximately ten minutes to present their projects. Presentation must be in the form of narrated PowerPoint, narrated Prezi, or an iMovie or other format video. Regardless of the format, the presentations must address: (a) a thorough description of their journey, (b) connections to the process of scientific inquiry, and (c) implications for future teaching. In describing their journey, students are instructed to explain what observations or questions they started with, how their questions may have evolved, evidence they gathered, transitions they made along the way, and any other aspect of their experience. They are reminded that each individual will have a different journey and that there is no “correct” path that they have to take during the project or explain during their presentation. As part of their descriptions they need to include photos, drawings, videoclips, charts, and other pieces of evidence that would aid in understanding their projects. Second, in describing their project, they are instructed to clearly make connections to and describe the specific components of the scientific inquiry process that they were engaged with throughout their project. Finally, students are asked to reflect on the implications of their experiences for their future classroom teaching. In doing so, they could either discuss their own specific projects or the Home Inquiry Project in general. Each presentation is followed with a brief question and answer session where students can engage in conversations regarding specific questions they may have for each presenter or items they found interesting. Afterwards, the class engages in a reflective class discussion about the Home Inquiry Project, their experiences, and overall understanding of science that they gained from the experience. Students’ presentations and verbal comments during the reflection session suggest an overall positive perception of the project and an improved understanding of the process of scientific inquiry. In the beginning of the semester when the project is first introduced, students continually ask about more specific instruction or check to make sure that they are “on the right track.” It is often strange for them how open ended the instructions are at first, but as we proceed through the project and they learn about the cyclical process of scientific inquiry and through continued in-class discussion and reflection they begin to recognize the rationale for the open-ended nature of the project as suggested in this student reflection except. In their final reflections, students comment on the flexible nature of the project and how they felt interested in what they were investigating and motivated to do the project because they chose the path rather than being dictated what to do. Furthermore, they comment on the improvement in their observation and questioning skills and how they find themselves asking questions and making observations more routinely throughout their daily lives and how they are increasingly aware of their surroundings. 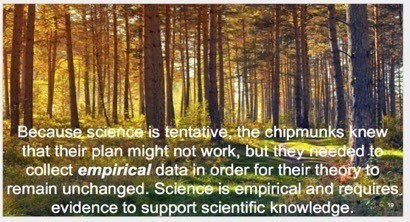 The actual experience of being involved in the process of going back and forth between the various components, such as tweaking questions, searching in the literature, making additional observations, and communicating and collaborating with their peers, allows them to notice the resemblance of the process to the fluid nature of scientific inquiry as opposed to the scientific method model. I have found that the skills developed through science inquiry are skills that are essential in everyday life. There is value in understanding the “why” and “how” in unfolding events. These skills are vastly different from the traditional scientific method, where conclusions are based on the accumulation of facts. Creative thinking and problem solving skills innately develop from the nature of the process found in scientific inquiry. What is exciting about the inquiry learning is the unknown direction that it will take you. I never thought staring at the night sky could lead me to learn about the different spectrums of light. Their experiences not only allow them to utilize scientific practices and witness the fluid and iterative nature of scientific inquiry, but it also allows them to better experience and understand cross cutting concepts (NRC, 2012) such as patterns, stability and change, cause and effect, similarity, and diversity. Finally, they reflect on the numerous implications of the project for their future teaching. Some indicate how a similar project could be done with their own students by asking students to perform similar explorations in their backyards or location of their choice. Teaching in an urban area, they recognize the flexibility of the project in allowing students to focus on even the simple things in their surroundings. They also discuss, as suggested in the excerpts below, the importance of being able to utilize their improved understanding of science in more accurately depicting the scientific process in their science lessons and units. This experience will follow me into my future classroom and into my future science lesson plans. Inquiry based learning will not only be a part of my science curriculum but also a majority of other subjects with incorporating interdisciplinary objectives. In my future teaching, I want to help my students feel the way I have come to feel about science. I realize now that science is more about the journey you take. Finding answers or possibilities (or maybe nothing at all!) are just the end products of that process. I learned it does not take much to find something amazing relating to science. I don’t think this is specific to the area we live in but I do think there are so many resources in this area that could be utilized by an elementary class to extend science learning to the outside world. There are waterways, nature trails, ample wildlife, even their own backyards, etc. The options are endless for relating lessons in the classroom to locations very close to the school. Authentic experiences, such as the Home Inquiry Project, which immerse preservice teachers in the various aspects of the process of scientific inquiry have the potential to influence preservice teachers’ understanding of science as well as their attitude and confidence toward doing and teaching science. If the ultimate goal is the development of scientific literacy through engaging K-12 students, particularly those in the early grades, in authentic inquiry experiences, then we need to better prepare the teacher population that will be responsible for implementing this type of instruction in the classroom. Elementary teachers will continue to either avoid teaching science altogether or do so in a superficial, test preparation and coverage-focused manner that does not accurately depict the reality of the scientific process unless science content and methods courses begin to actively engage them in these forms of inquiry and reflective practice.